Super Cup Rebels (left to right) Glenn Gummerson, Simon Evers, Sheldon Shurland, Gregor Campbell, Mike Harkness, Steve Harkness, Adam Thrasher, Rich Pell (crouching), Richard Clarkin and Steve Levine. Front row (left to right): Gregor Beresford, GM Rodney Merchant, Duncan Fremlin and Ted Bisaillion. TORONTO - The Rebellion defeated the Screamin' Jays 3-2 this past weekend at Toronto's McCormick Arena to claim the 2015 Super Cup. The Championship Final ended up as a rematch of the last round-robin game of the tournament, which saw the two teams skate to a 2-2 tie. The single point was enough to see the Rebellion advance to the final game, having entered the game tied for points with the Big Stars and Team Canada '76. The Screamin' Jays, meanwhile, were through to the Final after just two games having defeated both the Big Stars (4-2) and Team Canada '76 (5-3). Rich Pell scored the game-winning goal for the Rebellion in the Final. Rebellion defenceman Adam Thrasher was named tournament Most Valuable Player while Screamin' Jays goaltender Marc Hickox was honoured as the Super Cup's Most Valuable Goalie. The Super Skills Competition saw three different players emerge victorious in the respective event categories. Big Stars' Paul Shields prevailed as the winner of the Breakaway/Shootout competition, while Team Canada '76's Dominic Chartier claimed 1st place in the Speed/Stick Handling event. Team Canada '76 GM Eric Toth took the top spot in the Targets/Shooting Accuracy category. 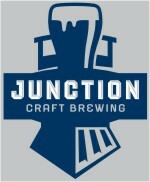 Hats off to sponsors Junction Craft Brewing and Big Stick Custom Hockey Jerseys and thanks to Pauley and the rest of the McCormick Arena staff and to The Derby and McCormick Park Cafe. Special thanks to Adam Thrasher and birthday boy Simon Evers for enabling the first-ever double drum kit rink-rock rig and to everyone else who helped make the 2015 Super Cup a triumph of fun, friendship, friendly competition, thirst and absolute physical exhaustion. Cheers!